Too often we consider Wellness as the successful end-goal of a heath objective, such as, dieting to lose weight. This perspective hides the purest beauty of Wellness and does nothing to inspire us. For surely Wellness is not just an achievement of some vague state of disease-free health. 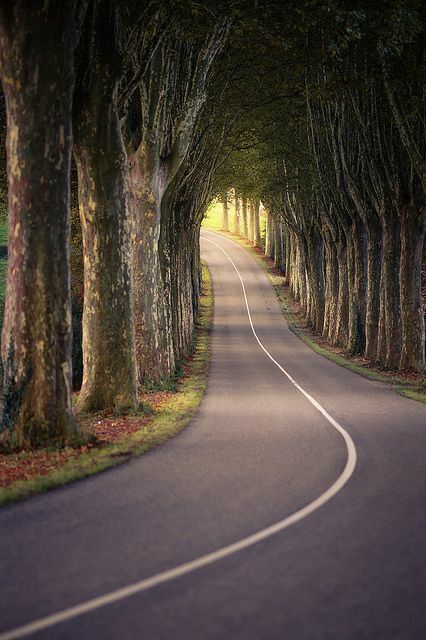 It is not the “house” at the end of the road where you settle for where you are. True Inspired Wellness shifts that perspective of a settling just for the goal, to a state of adventurous being, of living an exalted life, expressed fully, in physical, mental, emotional, and spiritual realms. Wellness is “Well-being”, not, “well I’m done”. Health fairs are events where organizations have an opportunity to disseminate health information to the public at booths and/or to provide health screenings. 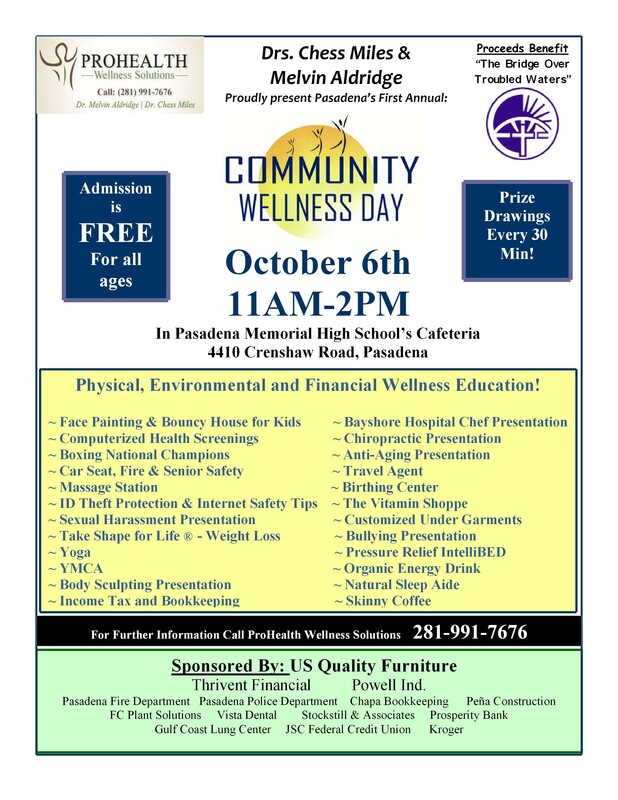 ProHealth Wellness Solutions participates in area Health Fairs when possible as a way of heightening awareness within the community of the services we offer. Not surprisingly many people don’t know what Chiropractic means. When we participated at a recent health fair and someone asked the question “what is chiropractic”. To give the simplest answer the person was asked if they ever had a pebble in their shoe. Of course most of us have had that painful experience. Once the pebble is there it affects everything about us – how we walk (painful limping), – our attitude (not pleasant), our speech (#8&**%#), our facial expressions , and even our relationship with others (get out of my way – I hurt). 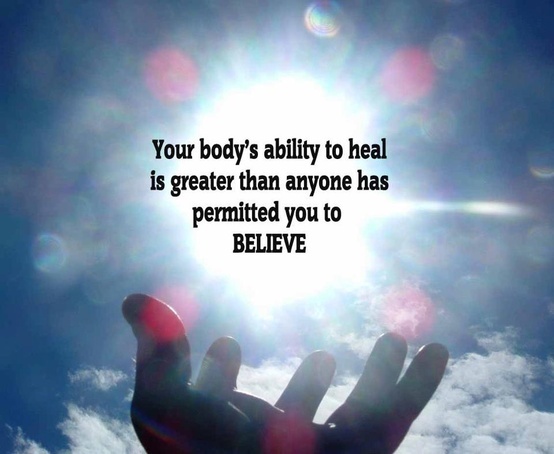 Instead of sickness care where a problem is addressed by medicating you or worse yet, cutting away the foot with the pebble, Chiropractic in its simplest form is the art and science behind gently removing the pebble and its effect. Once the pebble is removed healing takes place. Rather than treating a specific disease or condition, Chiropractic focuses on removing any of the interferences, such as subluxations, that inhibit the inherent ability of the human body to heal itself. Medical research (Dr. Chung Ha Suh of the University of Colorado) has shown that even a small pressure (about the weight of a dime) on a nerve can reduce the function of the nerve by 60 percent and that the nerve will start to degenerate if the pressure is sustained for three hours. Chiropractic adjustments “remove the pebble” so your body resumes its capability of healing itself. Our primary goal is to inspire wellness in every family. We want to be the “wellness solution” for you and your family by assisting in prevention of diseases through regular Chiropractic care, and through healthy nutrition and achieving a healthy weight with the Take Shape for Life program. Your life’s path will have mountains to cross, whether it is the mountain of your career, your family, your retirement, or your recreation, we want to help you cross them without the pebble in your shoe.